The AMPLIFi Remote app for iOS and Android™ brings an unlimited number of tonal possibilities to your living room. Simply hook up AMPLIFi TT to your home stereo, and AMPLIFi Remote will integrate wireless music into your digital world exciting in new ways. Load up your favorite tracks from your music library and get matching tone selections automatically. Join a huge online community of guitarists and pull up limitless tones from the cloud. 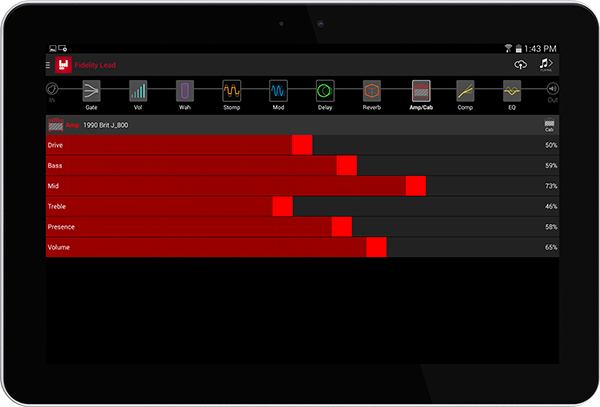 And control all of your amps and effects using your touchscreen iOS or Android device.